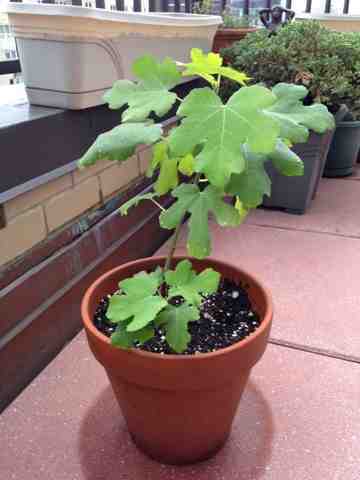 Meet the latest addition to our urban garden: A young fig tree. Our neighbors across the street are getting work done on their terrace so we've adopted this sweet sapling, and are looking forward to healthy growth and maybe even figs in the coming years. 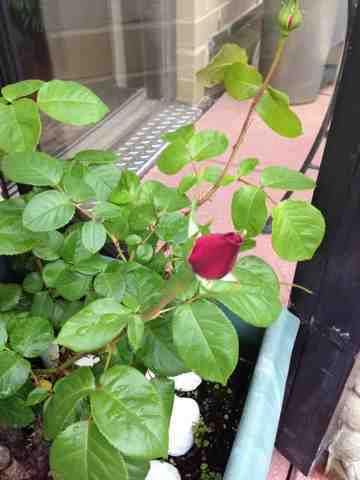 Our rose bush is about to burst. The flowers are coming in stronger than usual for this time of year. 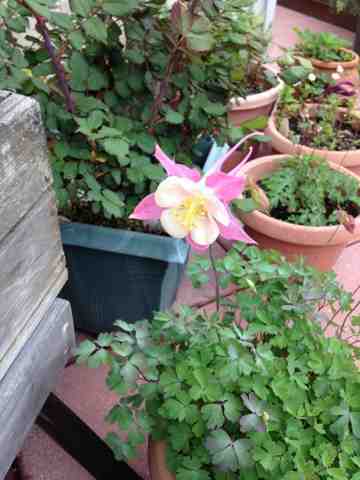 The columbine is back with lovely pink blooms. I love the springtime flowers that signify the beginning of planting season. 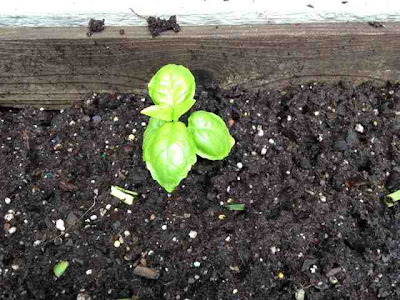 We planted the basil a little earlier this year so they'd be bushy by June. I'm looking forward to a healthy crop, and some tasty salads and sauces. 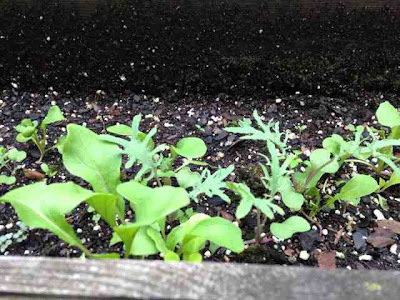 I threw lettuce seeds in this planter in late April. The mesclun never minds a little chilly weather. 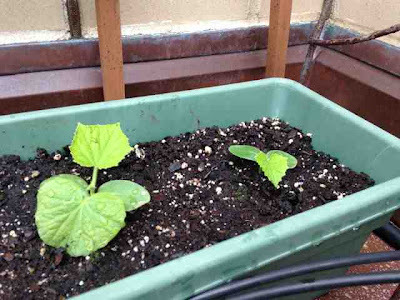 I put the cukes out last week, to give them a head start. They like mild temperatures and punk out when it gets too hot. Hope they don't mind when it dips below 50 overnight this weekend! 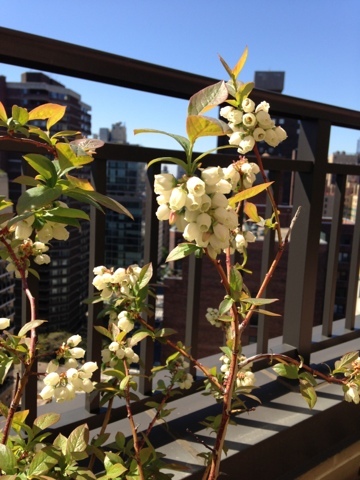 Despite the unseasonably cool spring, our perennials are back in business. 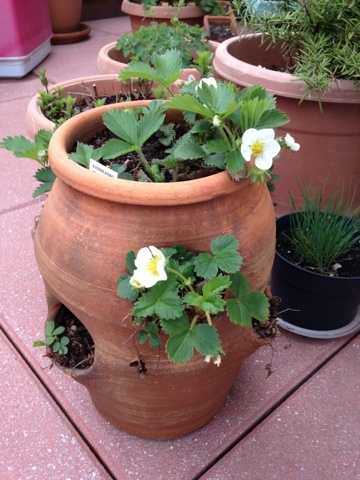 The strawberries are coming in strong. In several weeks, we'll be able to pick them for breakfast! 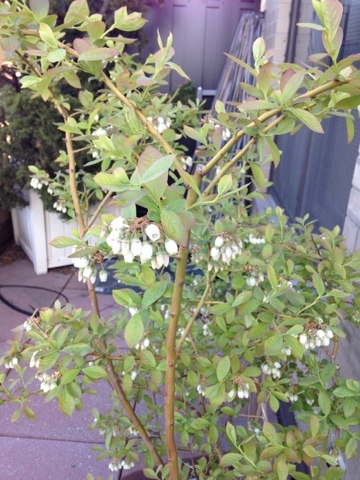 Our blueberry bushes are in bloom too. Even the Bluecrop variety that was attacked by nasty white grubs (and which we left for dead last summer) has made a miraculous recovery. Of course, every garden delight comes with a downside. In this case, the blueberries attract mocking birds that wake us up, steal our fruit and attack our tomatoes...Oh well, that won't happen until at least mid-June when the berries begin to ripen.